HOPE’s New Collaboration With Saylani Wefare Trust: Dr Mubina’s Twice A Week Free Voluntary OPD At Saylani’s Bahadurabad Centre. HOPE’s Chairperson Dr Mubina Agboatwalla, child specialist in Karachi, has honorarily and voluntarily offered her services to the Saylani Trust, as a senior, experienced child specialist, twice a week, every week. Very much In keeping with its traditions , HOPE a health oriented NGO in Pakistan strives harder with the passing of time to provide as much quality health assistance to the general masses as possible. HOPE also runs several formal schools, semi formal schools and a very large number of home schools right from Karachi to the northren mountains of Azad Jummu & Kashmir providing high quality education where none was previously available. For this and other visionary projects boldly undertaken by HOPE, full credit goes to Dr Mubina Agboatwalla, child specialist in Karachi and chairperson of HOPE. 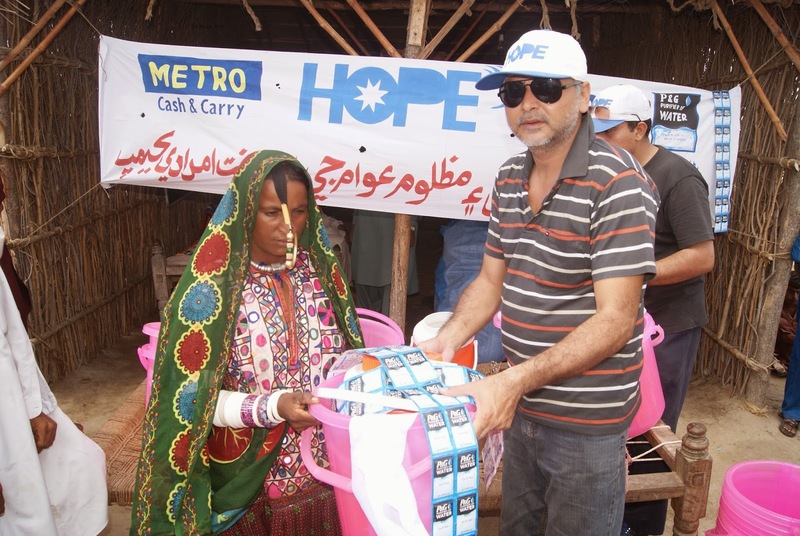 HOPE’s Continued Campaign In Providing Pure Drinking Water To The Rural Population Of Badin. 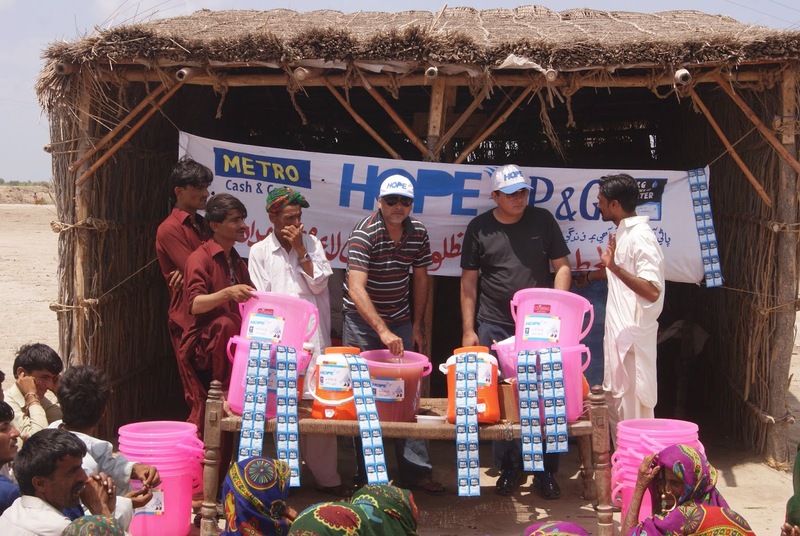 HOPE has been relentless in its efforts to provide pure drinking water to the rural areas of Sindh and the latest campaign to eradicate dirty impure water was carried out in Badin early this week. It goes without saying that the one major reason for all kinds of diseases rampant in rural Pakistan is because of dirty. contiminated and often toxic water that people are forced to consume. Healthy, pure, clean water is not accessible to them. 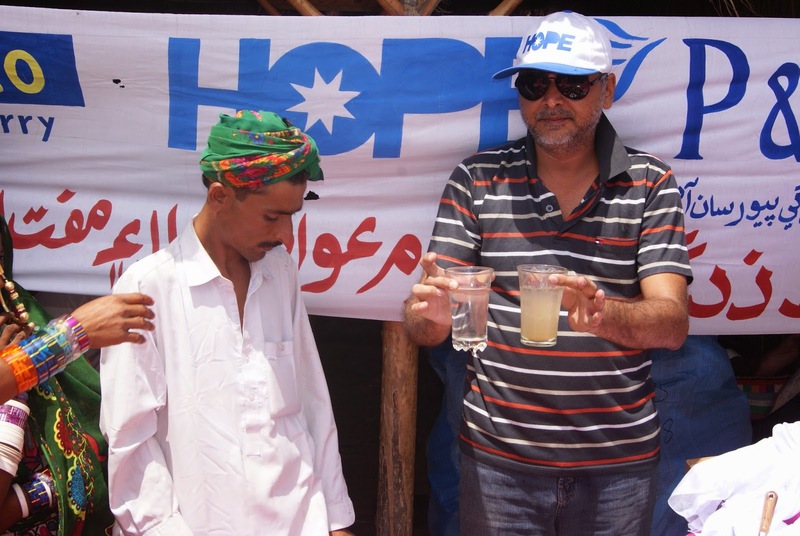 Besides providing medical assistance through its various medical centres and hospitals in Karachi and in rural Sindh, HOPE an NGO in Pakistan, works non-stop in providing the rural population the very best means of purifying dirty, contaminated water. Collaboration and assistance from P&G, our esteemed partner, in this cause, is always appreciated. It is with P&G’s assistance that HOPE, ahealth oriented NGO, manages to strive further in this direction. 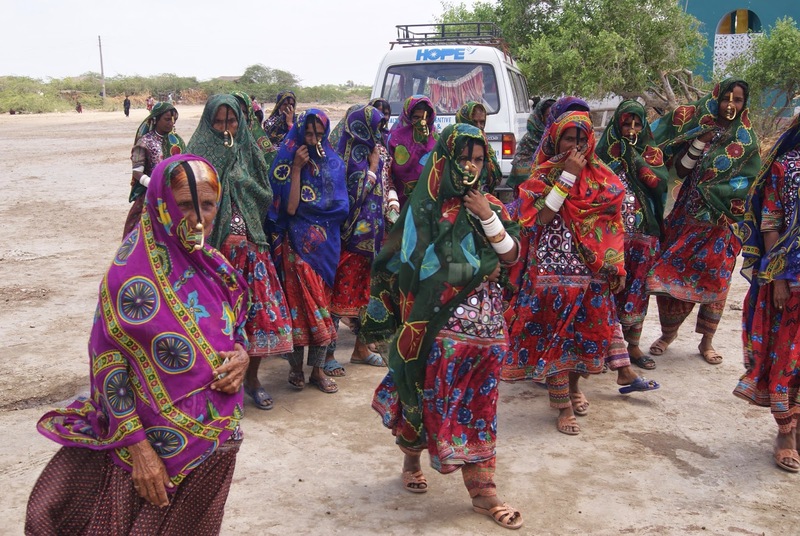 This expedition, deep into rural Badin, intiated by Dr Mubina Agboatwalla, childspecialist in Karachi and chairperson of HOPE, was of great importance as a large area and a vast population was targeted for not just providing emphasis and awareness in the health benefits of consuming pure, clean water and how this would save them from many life-threatening diseases but also provided them with demonstrations in proper use of P&G’s purifier of water ~ and also proper filtration procedure. A very large number of water buckets, water coolers along with sachets of P&G’s purifier of water was distributed amongst the population free of charge, as per instructions and directions of DrMubina Agboatwalla, child specialist in Karachi. HOPE’s Sujawal Hospital: Setting up and Expansion Of Vocational Centre for Women. 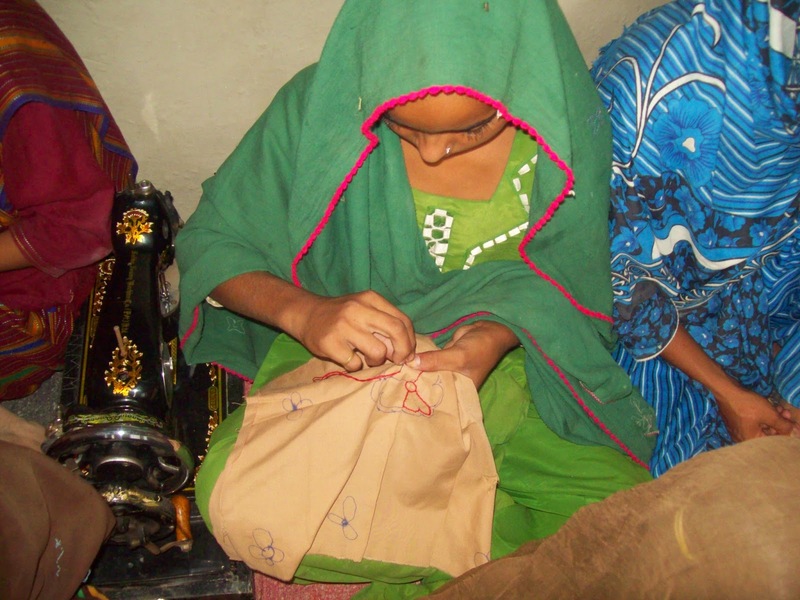 Based in a beautiful rural setting of interior Sindh, HOPE’s Vocational Centre is housed within the HOPE Hospital in Sujawal. Also based on the economic development and employment needs within the region, the vocational training centre will provide opportunities for training through quality vocational education exclusively focused on the betterment and economic uplift of the rural woman. 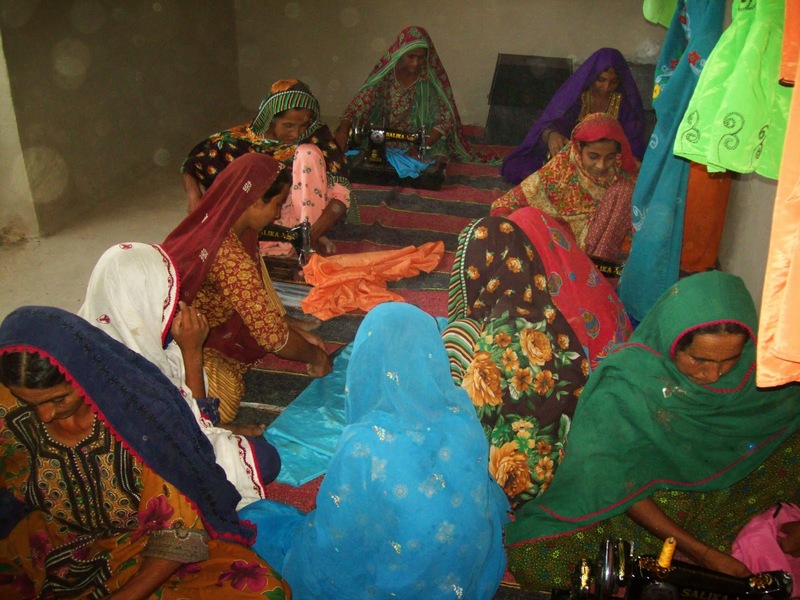 Always striving hard to provide assistance in all forms to the rural women of Sindh, HOPE a health oriented NGOin Pakistan, does not lag behind in setting up and running vocational centres to teach women a complete package related to making of marketable products such as fashionable garments adorned by beautiful embroideries and accessories. With skilled trainers, HOPE, an NGO inPakistan, imparts a full set of skills. Right from designing to cutting to embroidering to sewing ~ and finally to selling the garments and thus empowering them to make a reasonable income. This particular Vocational Centre is being set up with much appreciated collaboration of The Human Concern International of Canada. It is a challenge that Dr Mubina Agboatwalla, child specialist in Karachi and chairperson of HOPE, monitors very closely and ensures that the best of efforts are made at all times. With successful Vocational Centres already running in the slum areas of Karachi and far-flung areas of Pakistan, such as Badin, Sindh, Muzaffargarh, Punjab, Muzaffarabad, Azad Jammu & Kashmir, Dr MubinaAgboatwalla, child specialist in Karachi, has immense knowledge and expertise in this area and does not rest easy till a centre starts producing the very best results. 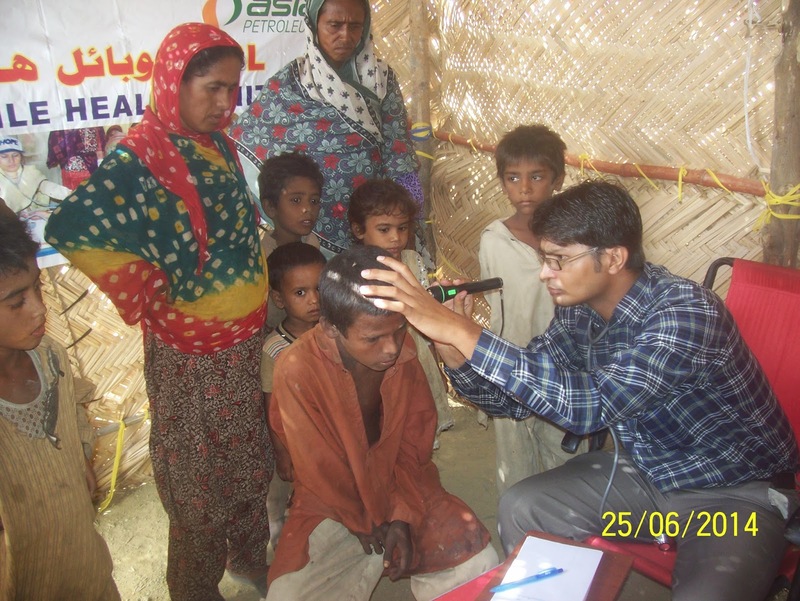 Very much In keeping with its traditions and goals, HOPE an NGO in Pakistan organizes a weekly mobile medical camp that covers as many as 26 Goths on a rotational basis.This endeavour of HOPE is assisted by the kind and generous collaboration of ASIA Petroleum. The area that HOPE’s medical team covers is quite vast ~ from Pipri in the south east of Karachi to the north west touching the borders of Balochistan at Hub. Besides being a forerunner in the field of education, HOPE, an educational NGO inPakistan has also maintained its position in providing quality medical assistance to the poor and the needy. On each visit as many as 60 individual patients consisting of men, women and children were examined and proper medical attention inclusive of free medicines is provided. The common ailments normally seen and diagnosed are, diarrhea, respiratory tract infections, gastroenteritis, vomiting and malnutrition. As per instructions from Dr Mubina Agboatwalla, child specialist in Karachi, medicines were provided to all the patients and instructions and awareness was given to all for personal hygiene and general cleanliness to be able to avoid contracting recurring contagious diseases. It has been a general practice of Dr Mubina Agboatwalla, child specialist inKarachi and chairperson of HOPE to organize such medical camps and provide quick and much-needed medical help to the poor on the spot. Follow ups of serious cases is separately maintained and taken care of.